What is Method or function in C#? 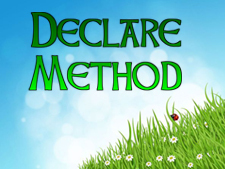 How to declare method in program? How to use method in program? In the preceding example, the public is an access specifier, void is a return data type that return nothing and add() is a method name. There is no parameter define in add() method. You must remember, whenever use return data type with method, must return value using return keyword from body. If you don’t want to return any value, then you can use void data type. You can define multiple functions within a class. If you are using return data type instead of void, then must return appropriate value with return keyword. In this chapter you learned about what method or function is in C # and how to declare it in program. In next chapter you will learn how to calling method in program.